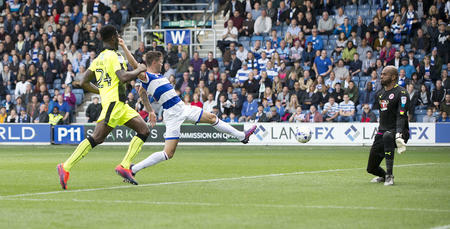 QPR secured all three points at Reading courtesy of skipper Toni Leistner’s 64th minute strike. Jordan Cousins and Nahki Wells had gone close in the first half, while Cousins again nearly opened the scoring shortly before Leistner’s goal. 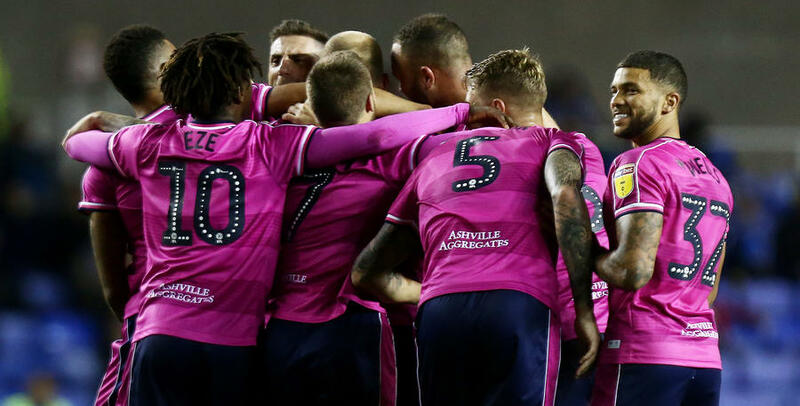 Steve McClaren’s men had to stand firm in the closing 15 minutes as the hosts poured men forward in search of an equaliser, and stand firm they did to seal victory in Berkshire. McClaren opted for a change in formation following recent league defeats to Norwich and Swansea, switching to a 4-4-1 formation with Ebere Eze playing off Nahki Wells, and Tomer Hemed on the bench. Toni Leistner returned from a groin injury at the expense of Alex Baptiste while Jordan Cousins was back in the starting line-up following his one-match ban. The R’s lined up with Joe Lumley between the sticks behind a back four, from left to right, of Jake Bidwell, Joel Lynch, Leistner and Angel Rangel. Luke Freeman took up a position on the left of midfield with Mass Luongo and Geoff Cameron in the centre, while Cousins began on the right. The Royals were looking to build on their recent improved form which had seen them take seven points from their previous four fixtures. Paul Clement initially made two changes from the side that drew 2-2 with Brentford at the weekend, replacing John Swift and Yakou Meite with Sone Aluko and Liam Kelly, although Meite started the game when Jon Bodvarsson picked up an injury in the warm-up. Going into the game, one place and one point separated the teams in the table with the hosts in 20th spot and the R’s 19th. QPR certainly started the stronger of the two sides. Eze showed his intent in the opening minute by busting into the box before being stopped by a last-ditch tackle while on 12 minutes Cousins went so close to giving McClaren’s men the lead, getting on the end of Bidwell’s cross from the left but directing his header a foot over Sam Walker’s crossbar from ten yards. In the 22nd minute another period of concerted pressure from Rangers nearly resulted in an own goal from Liam Moore when the ball ricocheted off him and just wide of the upright from Cousins’ centre. It was certainly an encouraging opening period from the visitors, and the travelling 1,200 fans behind Lumley’s goal were in full voice. Reading’s first real chance of note came in the 28th minute but Saeid Ezatolahi’s effort from 25 yards was high and wide of Lumley’s goal. 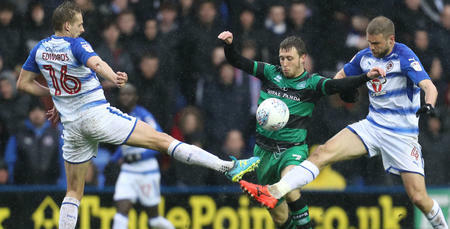 Liam Kelly then warmed Lumley’s palms with a deflected effort while at the other end Leistner came within inches of giving QPR the lead in the 35th minute. Freeman’s flighted free-kick from the right came all the way through to him at the far post, but the German defender was just unable to get a touch to the ball as it bounced out of play. On 39 minutes QPR came so close to catching Reading out brilliantly on the break. As the hosts pushed forward the ball was cleared to the edge of the Rangers box, where Wells took a couple of touches before releasing Eze with a superb ball. The QPR youngster advanced before squaring back into the path of the onrushing Wells, but his low effort was well stopped by Walker, diving to his left to push the ball away, while Freeman could only fire the rebound over the bar. After the break, QPR were still the team looking the more likely to score and just after the hour mark Lynch went close from close range before Cousins forced a fine save out of Walker. From the resulting corner, Reading seemed to have survived a frantic goalmouth scramble before the ball fell to Leistner who was 12 yards out and coolly directed the ball into the back of the net to give Rangers a deserved lead. The hosts reacted by pushing players forward but Lumley’s goal was well protected until the 72nd minute when Meite saw his effort bounce off the post. And moments later, he went close again, this time his header flying inches wide. The Royals continued to apply pressure in the final minutes but Rangers held out for a crucial three points. 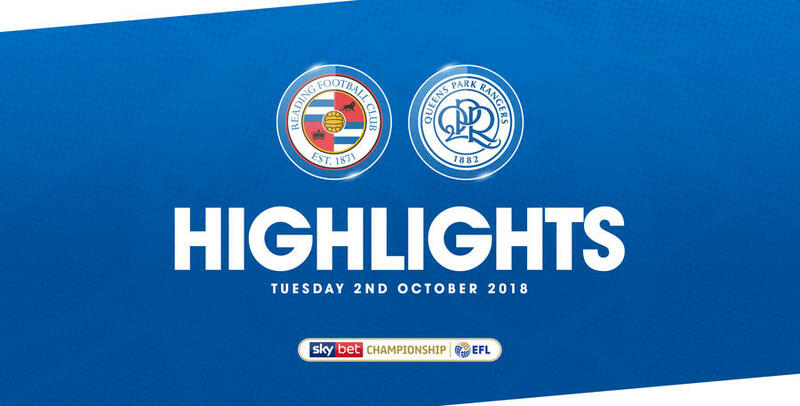 WATCH highlights from QPR’s 1-0 win against Reading FC at the Madejski Stadium on Tuesday evening.